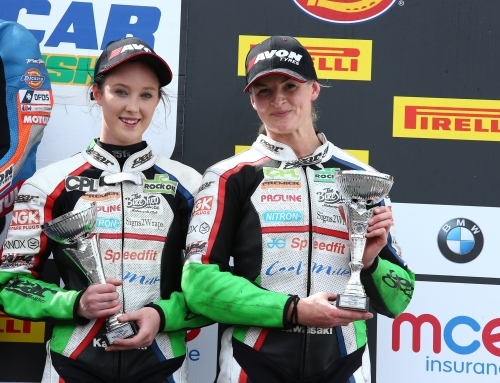 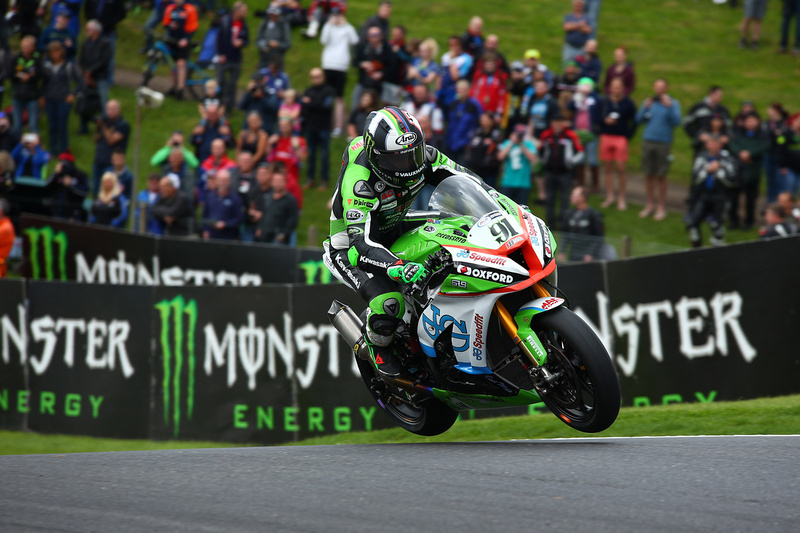 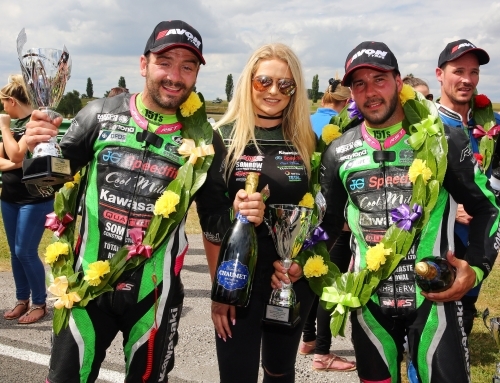 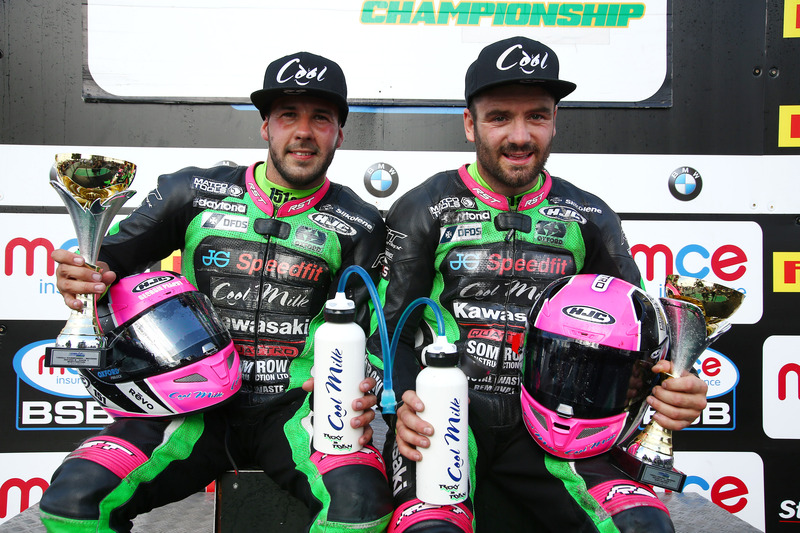 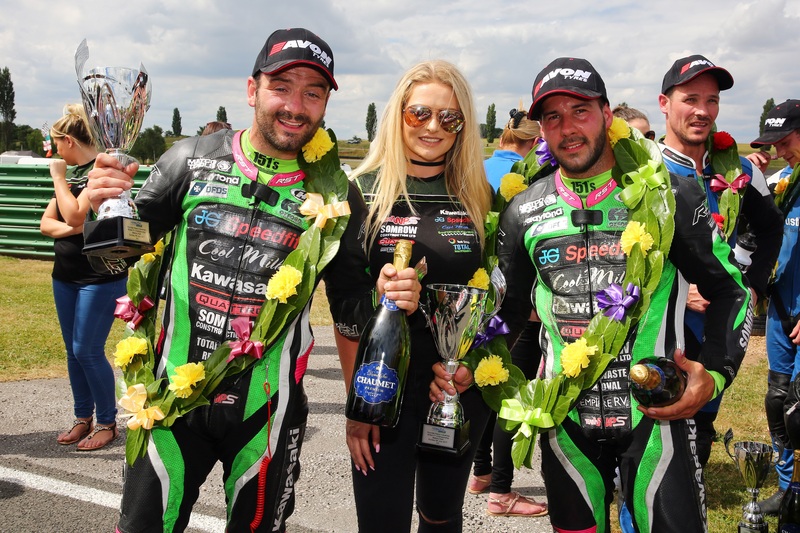 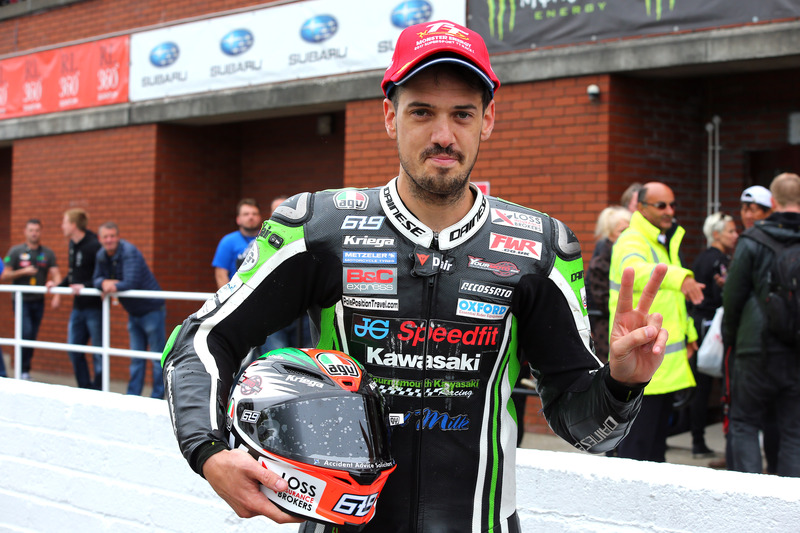 JG Speedfit Kawasaki’s James Hillier made up for the disappointment of Sunday’s Superbike TT race to claim second in Monday’s Supersport TT race for his tenth TT podium in total. 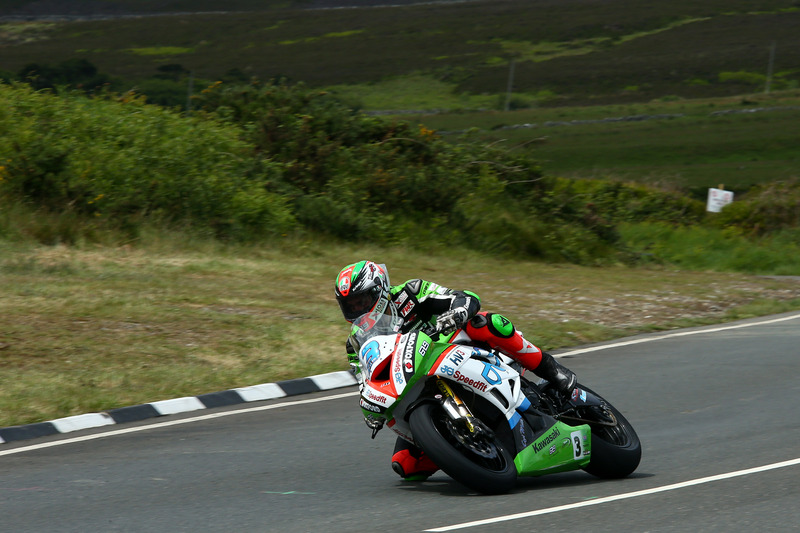 2017 IOM TT, Isle of Man, UK. 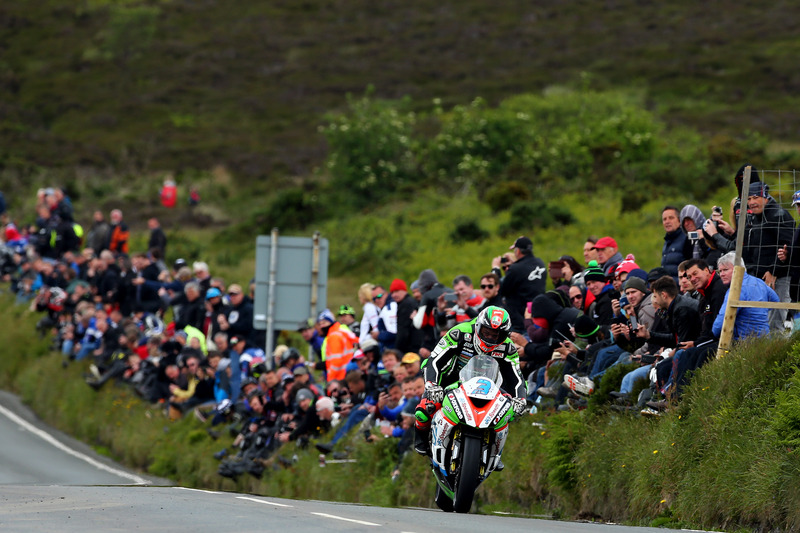 4th June 2017. 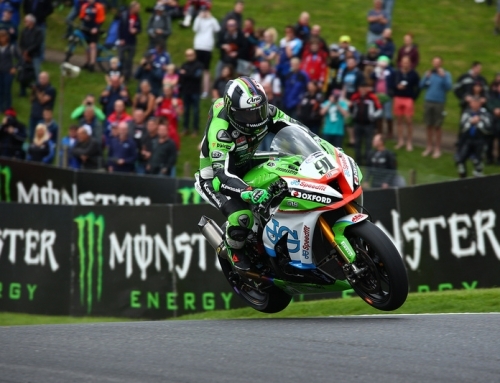 Overnight rain had left the 37.73-mile Mountain Course damp and the race was delayed by over two hours, eventually getting under way just after 1pm, but when it did, James was again the quickest rider on the nine-mile run to Glen Helen and an opening lap of 124.743mph gave him a slender 0.397s lead over eventual winner Michael Dunlop. 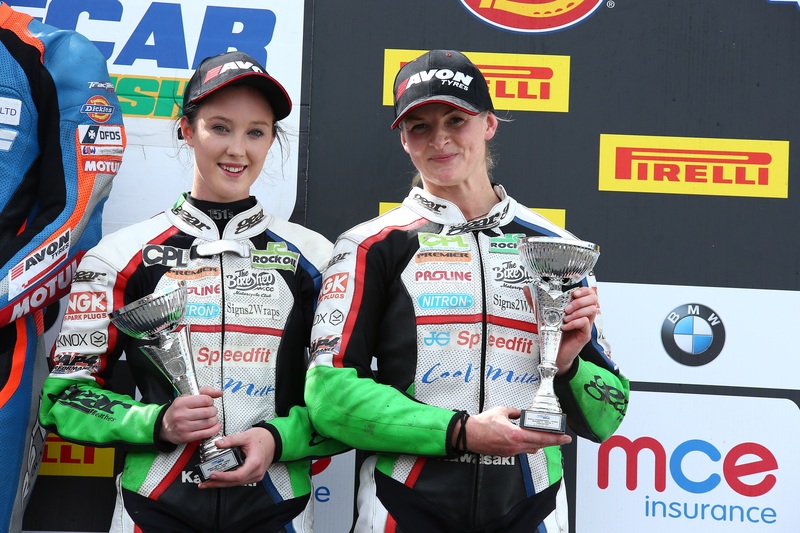 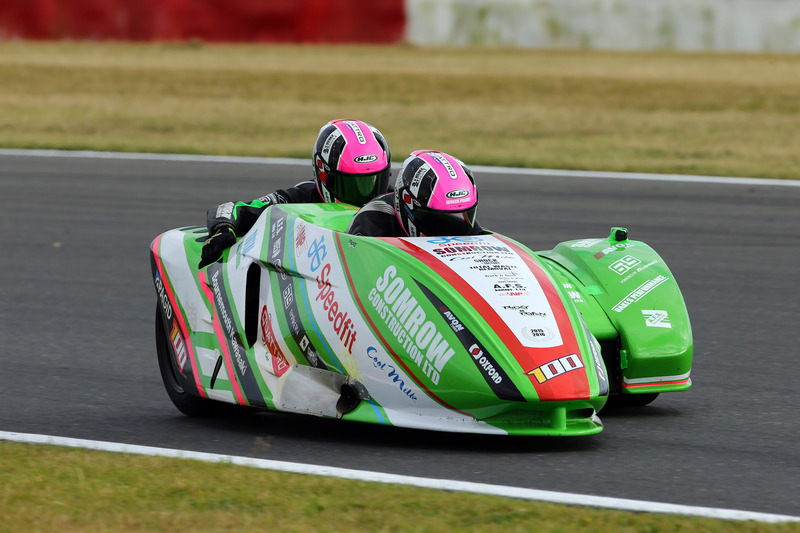 Conditions were far from ideal as a number of damp patches still existed around the course but the pace quickened on lap two and although Dunlop nosed ahead, a lap of 125.678mph meant there was still only 2.4s in it at half race distance. 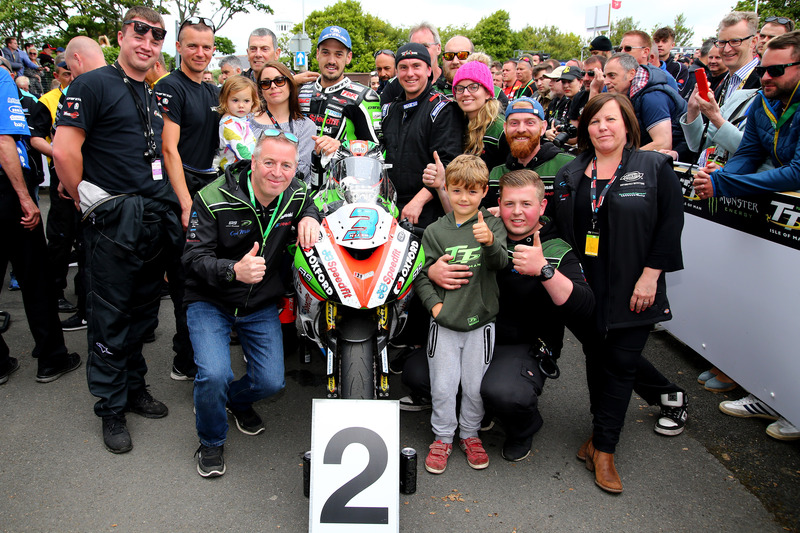 A superb pitstop by the team kept James in contention but Dunlop was extremely strong in the closing stages to take his 14th TT win but James was comfortable in second and final lap of 125.756mph gave him his first podium of TT 2017 and his tenth in total. 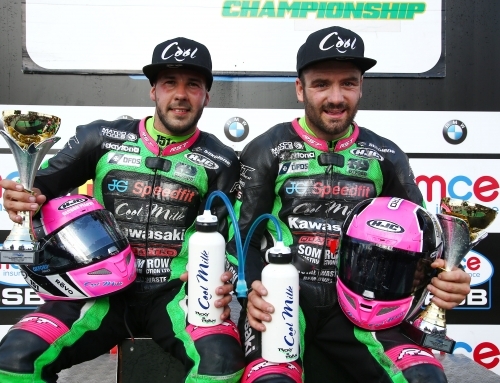 Hiller said: “I tried to forget what happened in the superbike race and with the weather forecast being what it was, I didn’t think we’d be racing on Monday so probably slept better than I normally would. 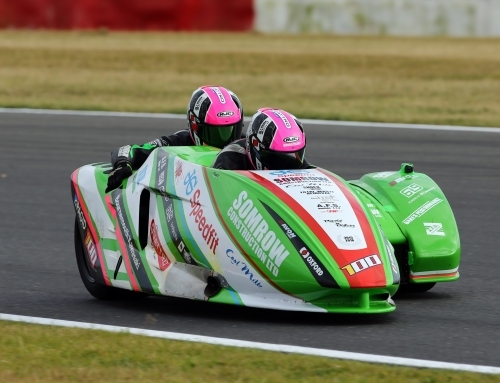 We’d found a really good setting with the bike during practice, hardly having to make any changes at all, but it was a bit tricky on the first lap as you couldn’t be sure where the damp patches were.